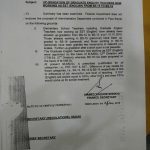 Kindly refer to the Govt. 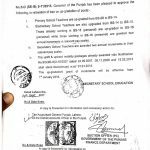 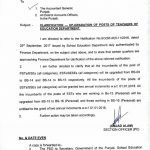 the Punjab School Education Department Notification No.SO(SE-III)5-11/2016, dated 25.09.2017.
a) The SST teachers were granted two increments in their respective pay scale as per Para (iii) of the letter ibid. 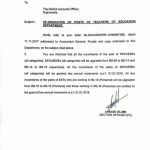 it may be clarified whether these increments shall also admissible to the SST teachers who are drawing their pay at the maximum of the Pay Scales as the Special Increment granted on 01.12.2007 by the Govt. 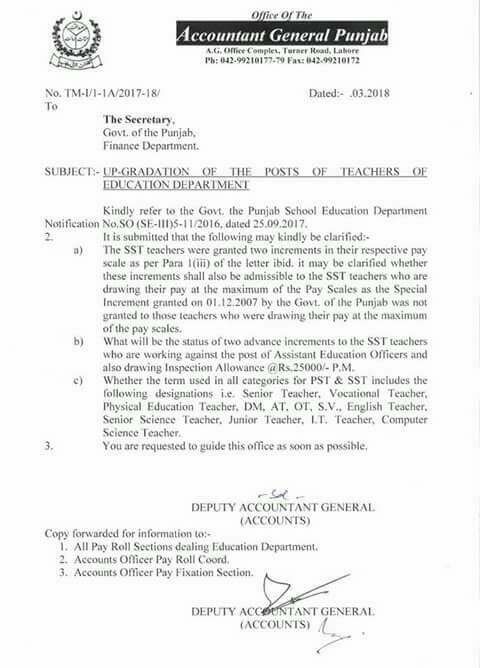 of the Punjab was not granted to those teachers who were drawing their pay at the maximum of the pay scales. 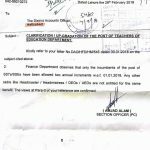 b) What will be the status of two advance increments to the SST teachers who are working against the post of Assistant Education Officers and also drawing Inspection Allowance @Rs. 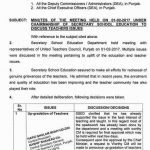 25,000/- P.M.
Special thanks to Mr. Kishwar Noor for sending the copy of the letter of Education Department Teachers Upgradation.